Australian singer-songwriter Tash Sultana will be performing at the Montreal Metropolis on Septembre 29th, 2017. The concert was first scheduled to take place at L'Astral, but was moved to Corona Theatre due to popular demand. But that was not enough : the show was moved again, this time at Metropolis ! Her hit single Jungle gained major attention last year. 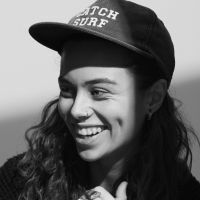 Don't miss this young talented lady, Tash Sultana, who's certainly on the verge of breaking out !